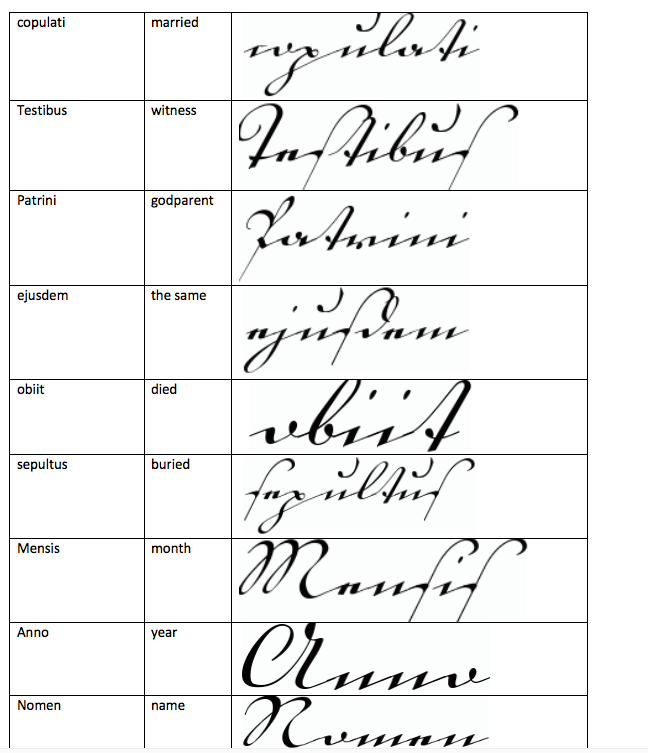 As if it’s not enough of a challenge that you need to know some German to find your ancestors, the scribes of yore now want to challenge you just a little bit more – by throwing in some Latin words in your otherwise German document. Of all the nerve! Luckily, there are Latin words that appear over and over in the German documents of the past. Over my years of translating, I’ve collected the words I come across most frequently, now summarized in a table for you below with their English equivalents and and an example of the word in the old German script. If you have any common Latin words to add, please say so in the comments! 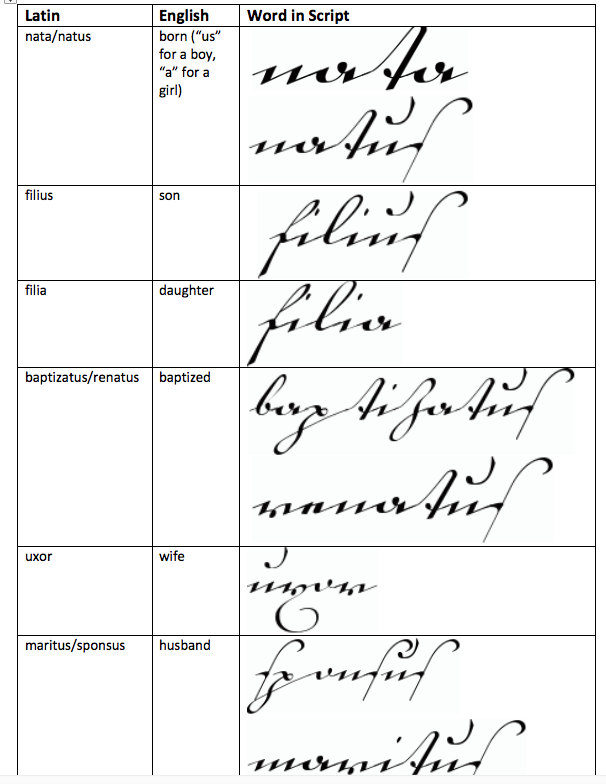 For more Latin words in genealogical documents, see here for a great list.